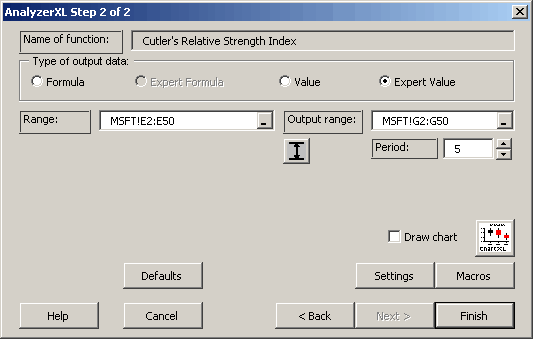 All-in-one technical analysis solution for Microsoft Excel: 146 technical analysis functions, historical data downloads, real-time quotes, neural network-based prediction and classification. You can automatically build charts, create macros. It downloads free historical end-of-day stocks, indexes, mutual funds and futures, delayed and real time quotes for stocks, options, indexes and other securities for more than 50 markets worldwide. DownloaderXL downloads free historical stock, index and mutual fund data into Microsoft Excel spreadsheets from Yahoo Finance. Historical data goes back at least 15 years and is available for exchanges of USA, Canada, UK, Germany, France, Italy, Australia, New Zealand and more countries. DownloaderXL easily builds charts. A library of 146 technical analysis functions. An easy-to-install and use TrueType barcode font package for Windows. Qweas is providing links to TraderXL Pro Package 6.1.32 as a courtesy, and makes no representations regarding TraderXL Pro Package or any other applications or any information related thereto. Any questions, complaints or claims regarding this application TraderXL Pro Package 6.1.32 must be directed to the appropriate software vendor. You may click the publisher link of TraderXL Pro Package on the top of this page to get more details about the vendor.